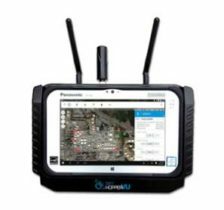 Geodetics Inc.’s newest mobile mapping product, Geo-MMS, is a fully integrated lidar mapping payload for integration with unmanned aerial systems (UAS). The Geo-MMS includes an inertial navigation system (INS) coupled with a lidar sensor. 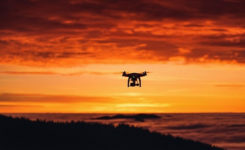 Raw data from the integrated GPS, inertial measurement unit (IMU) and lidar sensors are recorded on the internal data-recording device and can be post-processed using Geodetics’ lidar tool software package to directly geo-reference the lidar point clouds with LAS-format output. Geo-MMS is available with a wide range of sensors. Geo-MMS can be used in various applications in both military and commercial industries such as precision agriculture; mining; utilities; asset management; oil; construction and infrastructure inspections; intelligence, surveillance and reconnaissance (ISR); sense and avoid; coastal surveillance; and situational awareness. As a company based in the United States, Geodetics can also accommodate defense SAASM and M-code path requirements.